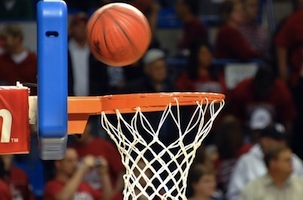 Who wins a March Madness bracket based on Facebook data? Around this time every year, basketball fans and office workers fill out their brackets for the NCAA Tournament — also known as March Madness. Some go chalk and just pick top seeds, some throw in some upsets, and some base their picks based on which mascot would win in a fight or which school has their favorite colors. But how would a bracket based on Facebook data go? That’s what SocialCode, a Facebook Preferred Marketing Developer, wanted to find out. Facebook also utilized its users behavior to figure out who the social network is pulling for in the tournament. So who will be crowned NCAA champions? According to both SocialCode and Facebook, it’s the Duke Blue Devils. Both companies’ Facebook-data fueled brackets have coach Mike Krzyzewski’s team winning the national title. SocialCode has Duke defeating Virginia in the end, while Facebook’s data thinks that the Blue Devils will face Florida in the title game. Tournament results are based on the total number of posts and comments containing words related to each school’s team that were made in the two weeks culminating with Selection Sunday. For the Social Bracket, the “winner,” of each game was selected for having accrued a higher total number of mentions in that time frame. This is the third straight year that SocialCode has generated NCAA Tournament predictions in this fashion. In 2012, SocialCode’s data accurately predicted that Kentucky would win the championship and also predicted a major upset, as No. 15 Norfolk State defeated No. 2 Missouri. Readers: Did you fill out your bracket?